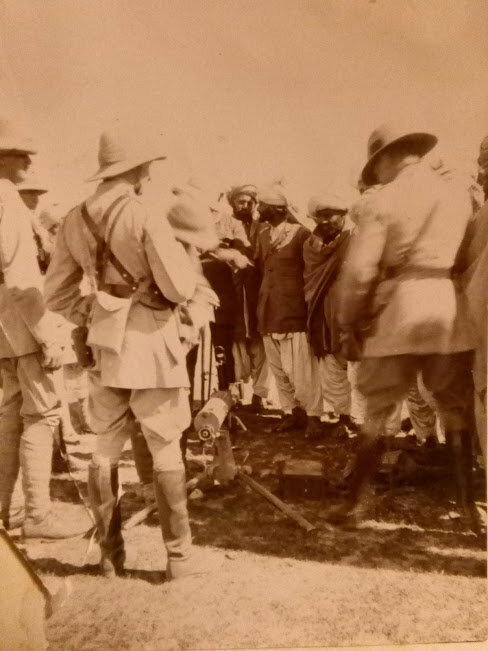 Having stopped at Nowshera on 6 April 1916, 22nd Battery's North West Frontier familiarisation patrol continued on 7 April. They moved 60 miles up to the frontier, in the Himalaya Mountains. In his letter to the Motor Cycle magazine, Sgt Fielder recalls, "it was a fairly stiff climb". On 8 April the Battery went field firing. This was to; "put the fear of God into the native chief and tribesmen, which we fairly succeeded in doing, returning afterwards to Mardan; distance fifty miles. In the evening we went to see an Indian war dance, which is a very impressive affair". The following day, 9 April 1916, was a Sunday, so Fielder says the Battery spent the day tuning up their machines. 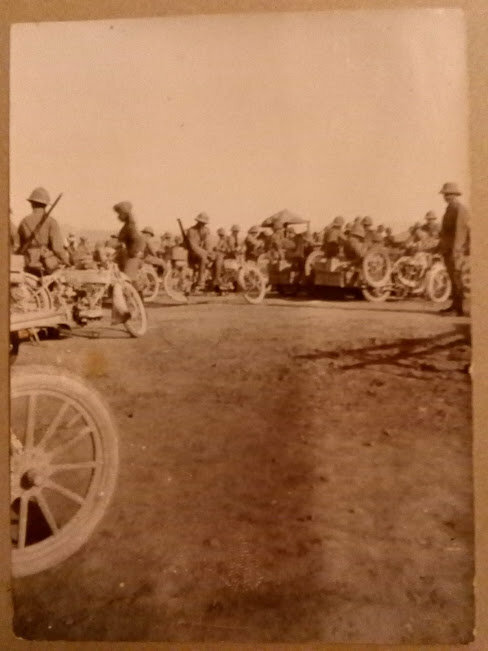 On 10 April they rode to Peshawar in pouring rain and arrived covered in mud, having covered 45 miles. On 11 April they headed up through the Khyber to Landi Kotal .